England’s most northerly county, Northumberland, lies next to Scotland in the north east coast of the country. Well connected by road, air, rail and sea, Northumberland enjoys excellent transport links. Arriving from the south; as you travel northbound up the A1 look out for the mighty Angel of the North in Gateshead, a sign that you aren’t too far from Northumberland. From the north, cross the beautiful borders of Scotland making the historic market town of Berwick your first stop, as you travel south on the A1. Exploring Northumberland by car offers you history soaked views, dramatic coastlines and peace and tranquillity as you travel on some of the most scenic roads in England. Head along the A1068, the Northumberland Coastal Route, and take in the sights of our award winning coastline from behind the wheel. 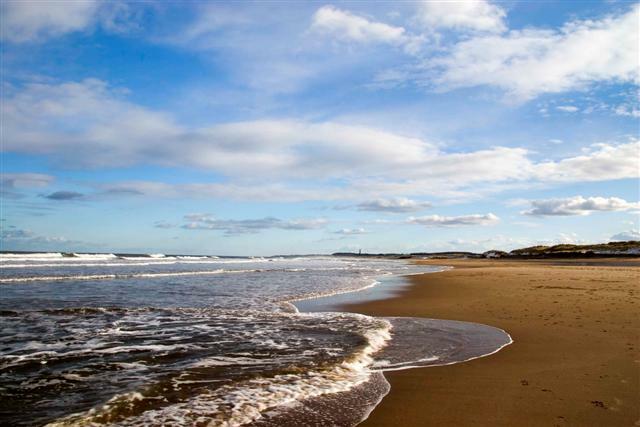 The 39 mile stretch allows you the chance to stop off at coastal villages such as Seahouses and Amble and stretch your legs on gorgeous beaches like Alnmouth and Druridge Bay. Roam along the A69 to the west of the county and cast your eyes over the indomitable Hadrian’s Wall as you drive alongside it. Enjoy a peaceful drive in the unspoilt countryside as you journey through Northumberland National Park. Explore the hills and valleys on the quiet roads of the North Pennines. Parking in many areas of Northumberland is free including council car parks in Morpeth, Seahouses, Hexham, Alnwick, Berwick, Rothbury and Wooler. If you are using a short stay car park in these towns then you will need to display a parking disc which can be purchased from tourist information centres, local businesses and libraries. Always check signs in the car park for more information. Why spend the day behind the wheel when you can hop aboard a bus! Journey to Northumberland with coach operators who offer various stop offs points and great links to Newcastle. 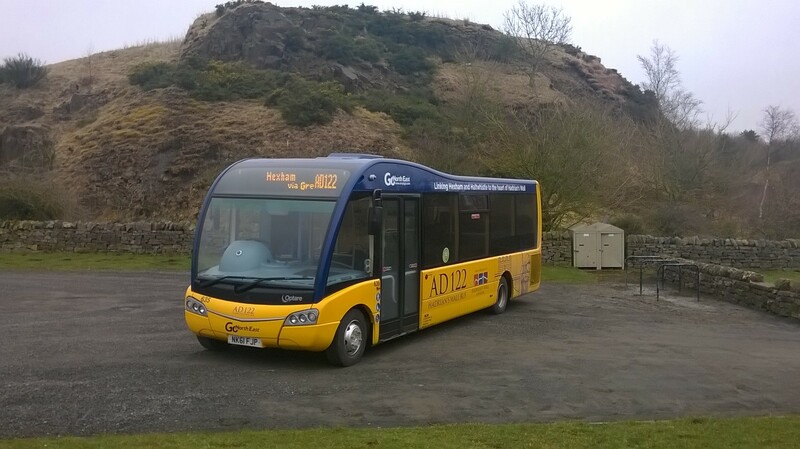 Northumberland has excellent bus services which will allow you to enjoy a day out in the county, hopping from attraction to market town, admiring the stunning views and beautiful countryside from your window. It’s the perfect excuse to indulge in a pub lunch, sample some local ale and let someone else do the driving! Just over three hours away from London Kings Cross, train stations on the East Coast mainline from London include: Newcastle, Morpeth, Alnmouth and Berwick. Connecting rail services also link with towns in Hexham, Haltwhistle, Corbridge and Prudhoe in the west of the county. Northumberland is only 20 minutes away from the Port of Tyne International Passenger Terminal in North Shields. Jump on the shuttle bus to Newcastle, provided by DFDS Seaways, where you can access Northumberland by train from Central Station or by bus from Haymarket Bus Station in Newcastle City Centre. Land at Newcastle International Airport and you are on the cusp of entering Northumberland. Newcastle welcomes flights from across the globe as well as UK destinations.